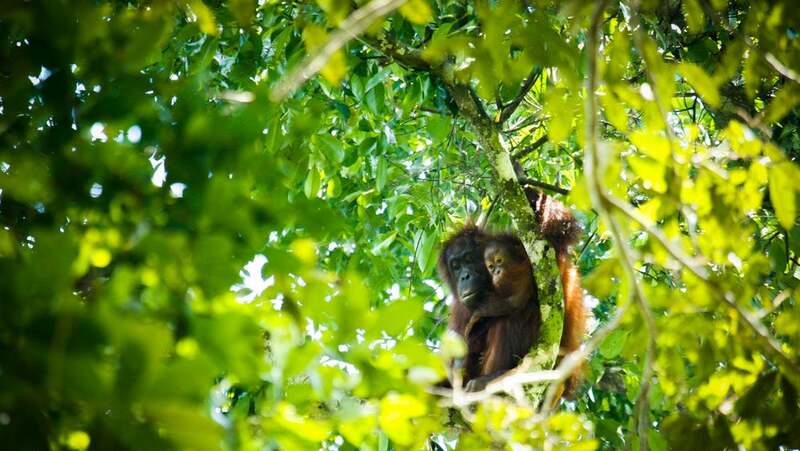 In what the researchers are calling the first official collaboration between astrophysicists and ecologists, a team from Liverpool John Moores University went in search of Bornean orangutans, a critically endangered species that hides in the forests of Borneo, a southeast Asian island. 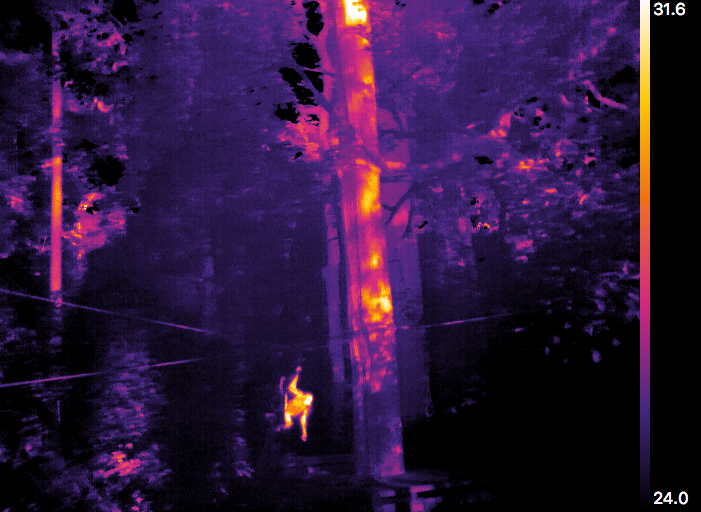 A presentation Tuesday at the Unifying Tropical Ecology Conference in Edinburgh highlighted the way drones equipped with the astrophysicists’ infrared imaging technology can more quickly and effectively count the number of individual orangutans in the forest canopy than people can. This experiment’s success has opened the door for experts to use this star-gazing technology to examine other rare and endangered species. The study, which has been accepted for publication in the journal Unmanned Vehicle Systems, involved a drone pimped out with a regular camera and a thermal camera and a group of field ecologists. As soon as they arrived in the field, the battle was on: Who could spot the most orangutans? The drone took 28 flights from 10-15 May 2018, at the Sepilok Orangutan Rehabilitation Centre and the Kinabatangan Orangutan Conservation Project. Each flight lasted only 10 minutes because of the drone’s battery life. Of course, this tech isn’t without its limitations. It can miss any animal hiding beneath a branch, and it can be hard to figure out if you’ve double counted an individual. Plus, this star-inspired tech works only before 9 am or after 7 pm in these particular rainforests. Any other time, the environment is way too hot to properly locate the heat signatures of the animals. “We know that there are some ecologists who thought that this kind of environment would just be impossible to see any animals because it’s so warm and humid in the tropical rainforest,” said Claire Burke, an astrophysicist at Liverpool John Moore University and co-author on the research. Orangutans are the first species this team has shown it can track using tools from astrophysics. The scientists are currently finishing up another paper using the same star-spotting tech to look at spider monkeys, said Burke. Her team’s next trip will be to Madagascar to study Lac Alaotra bamboo lemurs.